Lotsa 'Splainin' 2 Do: Getting back in the habit. Longtime readers, all six of you, will know this was my first blog. I started blogging here on April Fools of 2007. At that time, I would write political stuff on The Smirking Chimp, which now calls itself The Smirking Trump in its headline though the link still uses the antiquated insulting nickname for George W. Bush. This blog launched as a place where I could write about whatever I wanted, though politics was certainly not off limits. Over time, I started other blogs about specific topics like math, supermarket tabloids, science fiction and poll aggregation. Now I come back here to write about whatever strikes my fancy. Back in the day, I posted here daily, sometimes several posts in a day. My goal now is to post four or five times a week. 1. I'm changing the layout of the blog with the intent of having a slightly larger font as the standard. 2. I'm going to try to hold myself to one political post a week on Sundays. Obviously, this is not conducive to the BREAKING NEWS standards of the Internet, but there are plenty of other places you can get that. 4. Obituary posts. In my defense, I've always done these, it not just me getting old and cranky. 5. Math posts. I had a time when I could do one a week. They weren't necessarily massively popular, but The First Rule of Blogging™ is"You're not the boss of me!" 6. The tone. I used to write when I was upset about stuff. I think I'm going to have a lot of chances to be upset over the next few years, but I am going to make an effort to write about things I like. The Sunday political posts get a dispensation from the general Keep It Cheerful rules. I'll be posting links to new blog entries on Twitter and those will get put in my Facebook feed. As always, I welcome comments. When blogs get famous, the comment sections can become slime pits, but at a nice cozy Mom & Pop blog like this, I have met some of my best online friends in the comments. I certainly hope that continues. This is the best news I've read since Vikki Tikkitavi's return to blogging! Thanks, sweetie. We'll see how long I stay in the zone. Welcome back, I've been keeping the ancient blogging fires going and glad to have some company back. I used to write about four or five posts a week but it's now down to one or two weekly, and i think that's better for readers and for me. A suggestion: You write about all kinds of culture so you should start taking advantage of that fact and start asking for press tickets to performances and events you would be interested in writing about. Suggestion Number Two-O: Update your blogroll so dead blogs are put into the digital compost pile where they belong. Again, welcome back, and I'll put you back onto my blogroll over at Civic Center. Hello, Michael, nice to hear from you. Suggestion #1: This is the only way in all possible universes that I could get tickets to Hamilton, so it is definitely worth a shot. 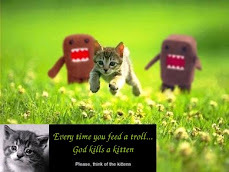 Suggestion #2: I will cull the herd of blog buddies, thanks. oh, now that the Trumpikins are boycotting Hamilton, tickets should be available and cheap! snerk. Yeah, Trump allies boycotting stuff in San Francisco won't even amount to a fart in a hurricane. Yay! Best of luck in this revival. Thanks, buddy, we will see how it goes.